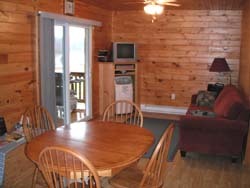 Welcome to Country Haven, your home away from home while visiting New Brunswick. 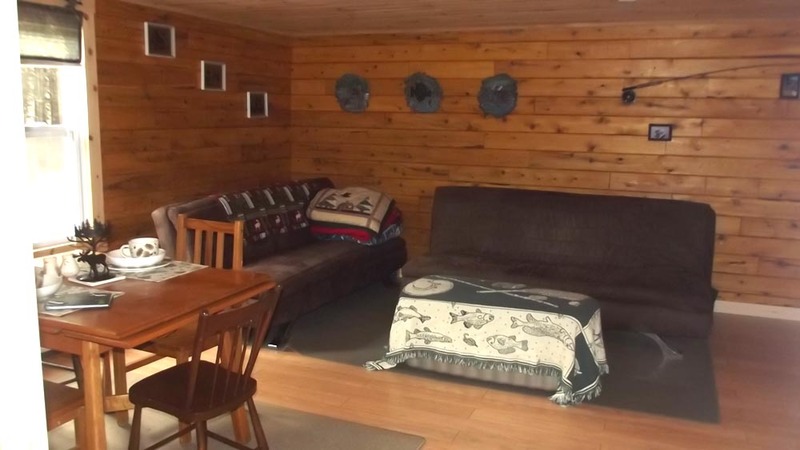 We are located in Gray Rapids on 100 acres of private land on the river bank of the World famous Main Southwest Miramichi River. 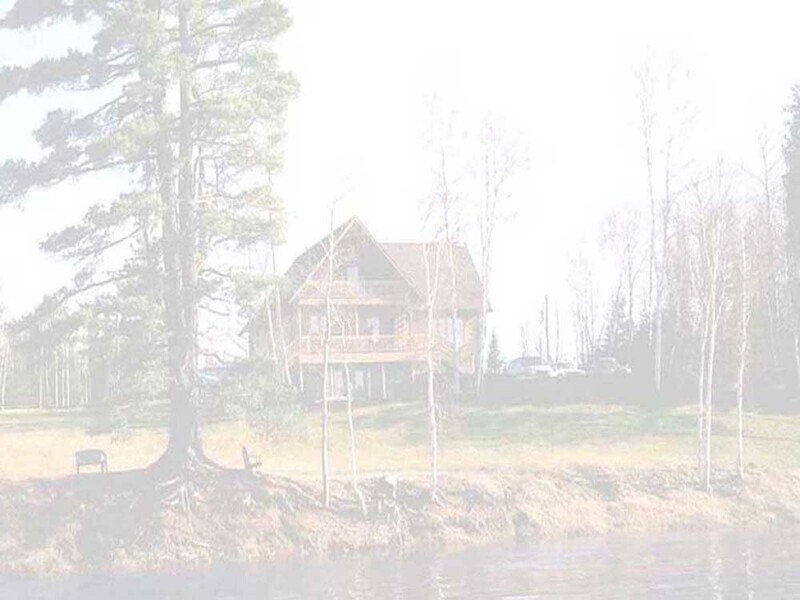 This river is considered the most productive of the entire river system. 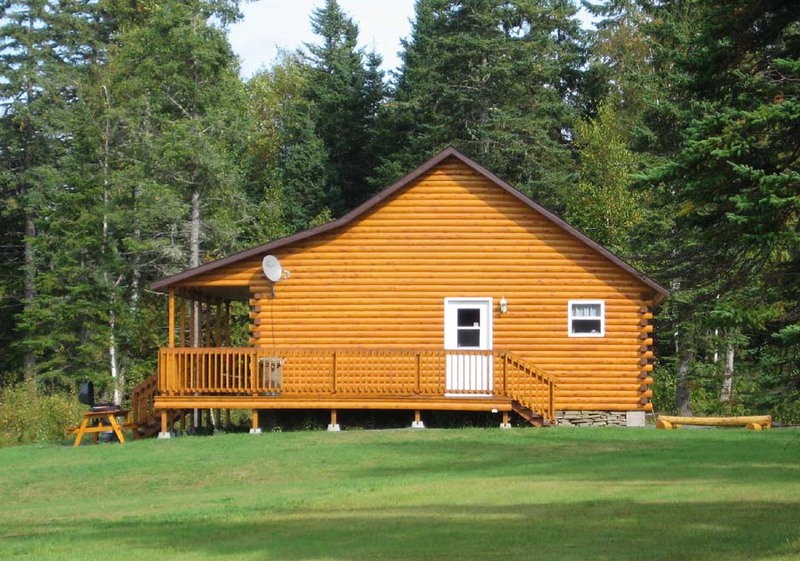 We are located 2 miles from the village of Blackville and 20 miles from the City of Miramichi. 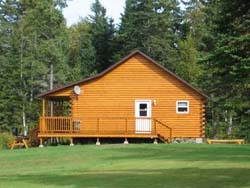 Being centrally located in New Brunswick also makes for easy access for day trips to anywhere in the province. 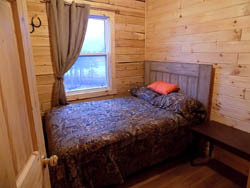 While staying at Country Haven, our experienced guides and staff will ensure your visit with us is a memorable one. 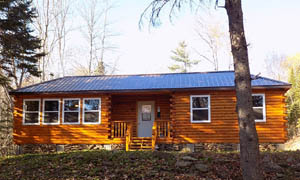 The lodge has been placed in a ( ) rating category by (CANADA SELECT) which is the accommodation rating program in Canada. 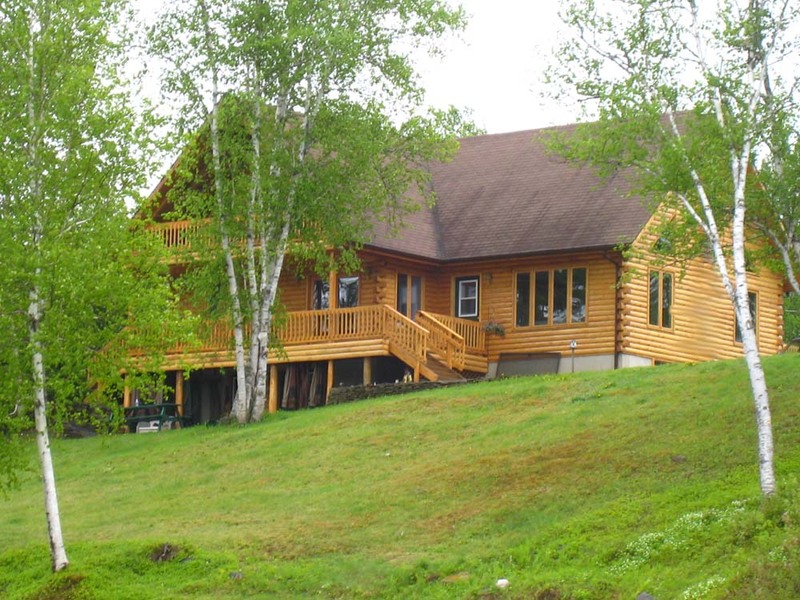 We share one of the top spots in all of New Brunswick. 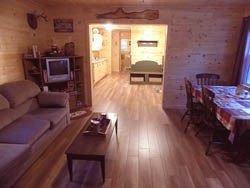 The 4000 sq. 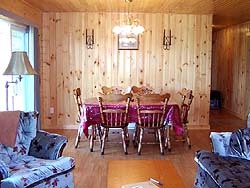 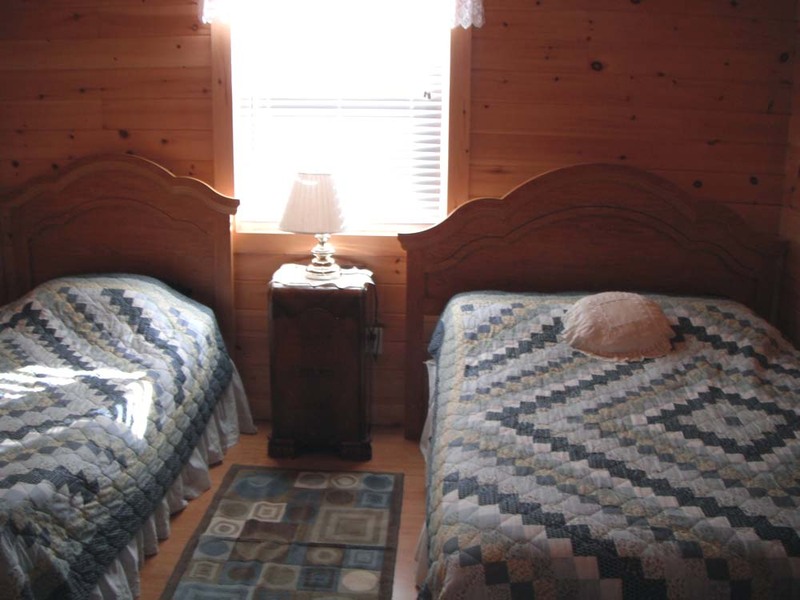 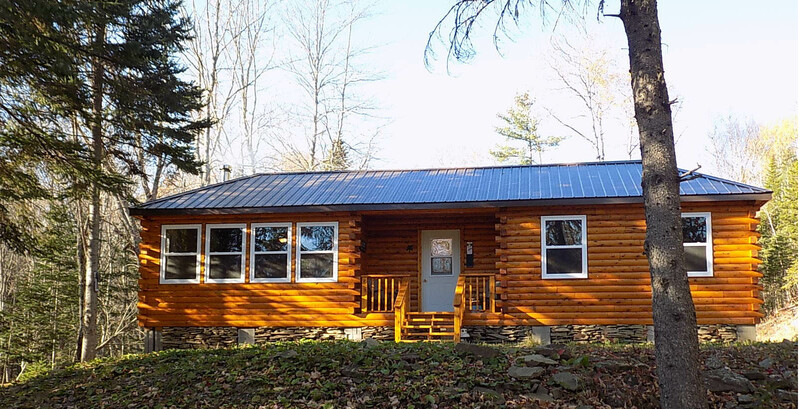 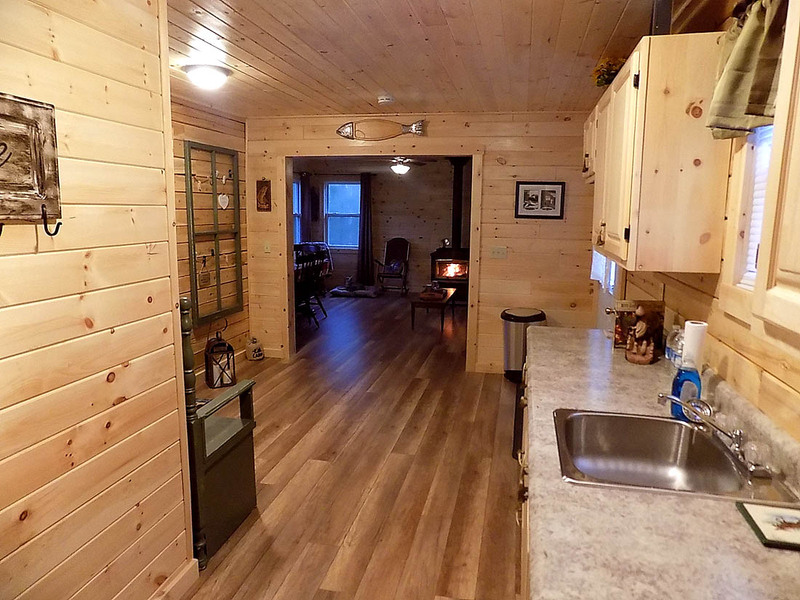 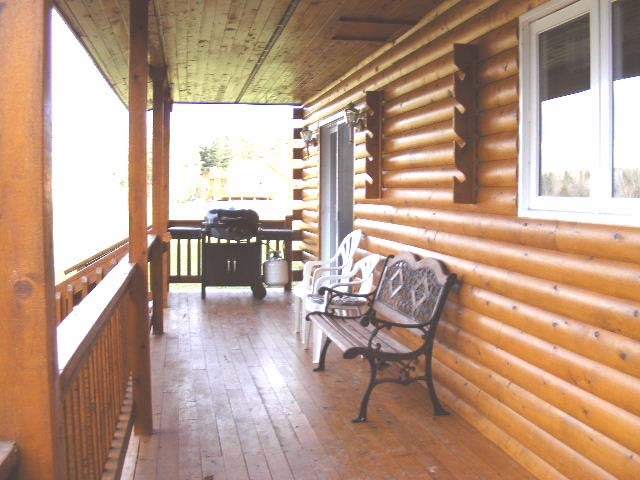 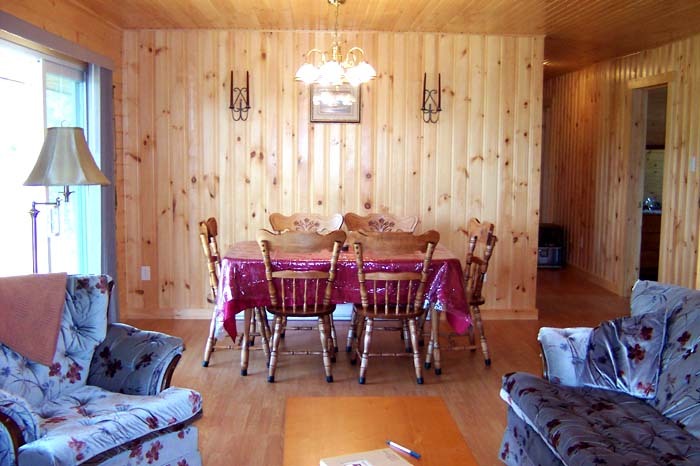 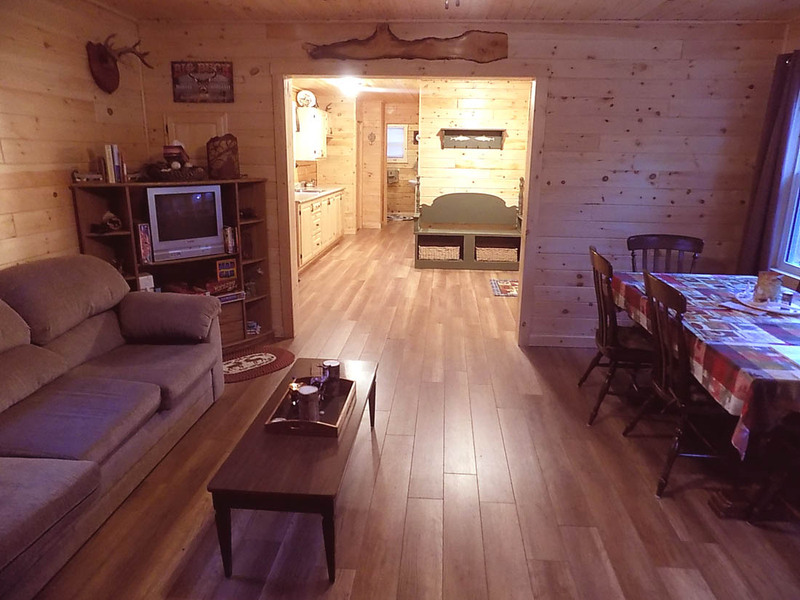 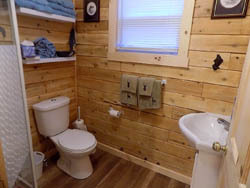 ft. log lodge consists of five bedrooms, 3 bathrooms,and a modern kitchen and dining area. 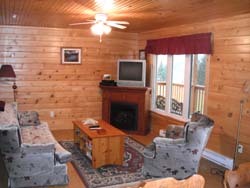 The living room is spacious, with its cathedral ceiling and large windows offering a spectacular view of the river. 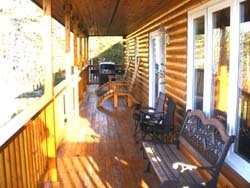 Just sit back and watch the salmon jumping and rolling or let a gorgeous sunset complete your day. 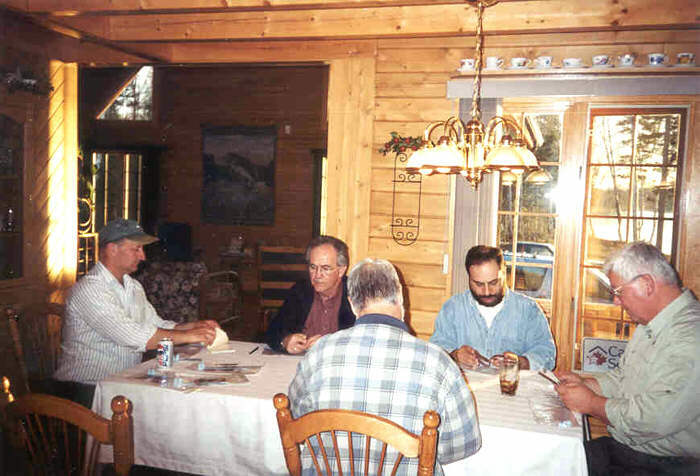 Enjoy fishing and catching the world famous Atlantic Salmon, trout or shad. Spend the day fishing or touring. 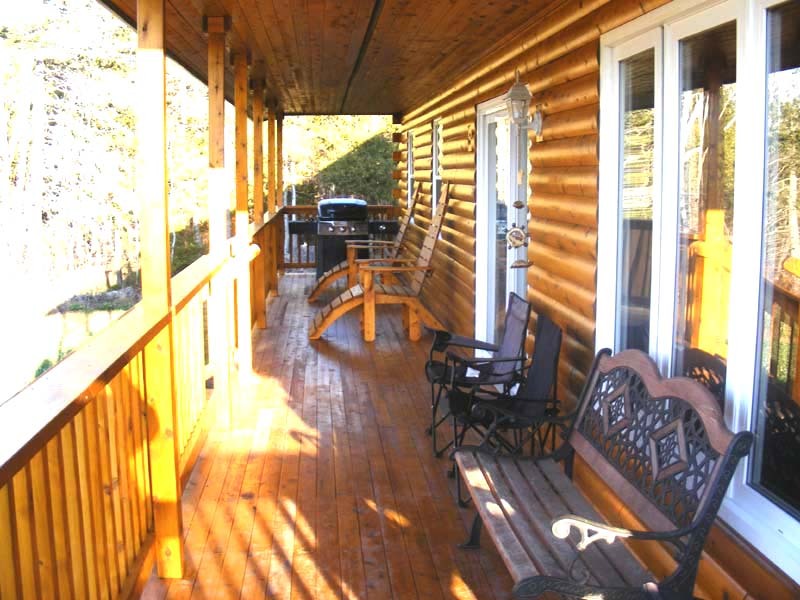 In the evening, relax on the front patio, watching the beavers play along the brook that runs through the land, view a family of ducks paddling by, or, with a bit of luck, catch a glimpse of the Bald Eagles that return to the large pine tree in front of the lodge each year. Enjoy a game of billiards or use the exercise equipment in the recreation room. We have satellite TV and a VCR for your enjoyment. 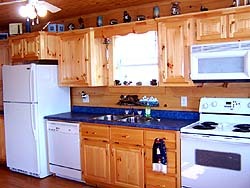 Your stay at the lodge is an all-inclusive package with daily maid service and 3 full home cooked meals. 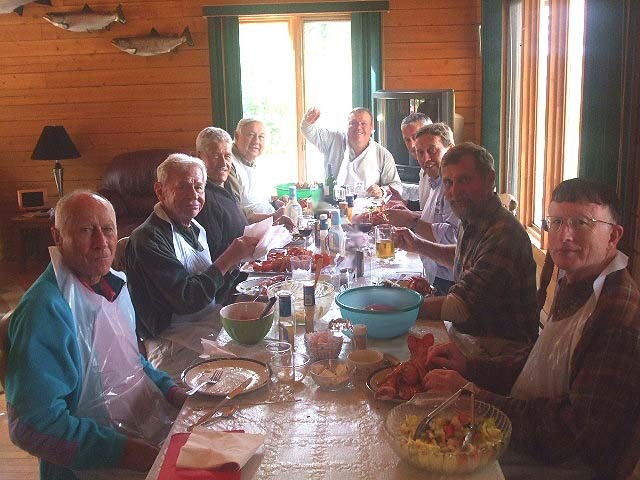 Eastern Canada is known for hardy cooked meals and seafood, and our salmon and fiddlehead special is second-to-none. Our newly constructed private cottages consist of two bedrooms, 4 beds and a bathroom, or three bedrooms with 6 beds and 1½ bathrooms, comfortable living rooms and well equipped kitchens and dining areas. 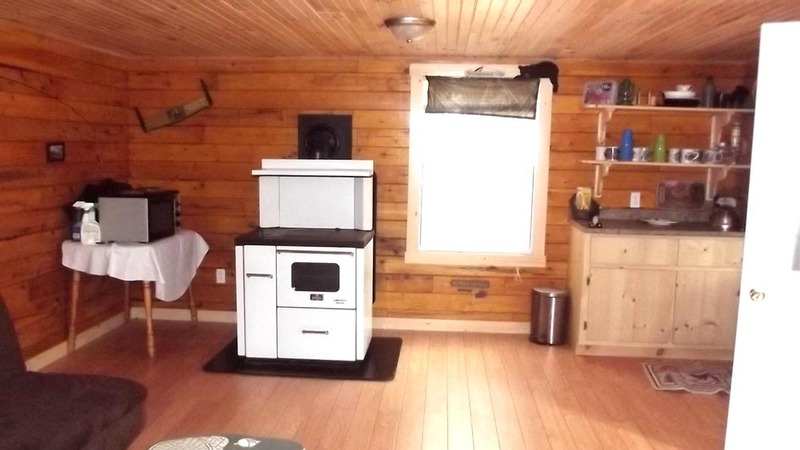 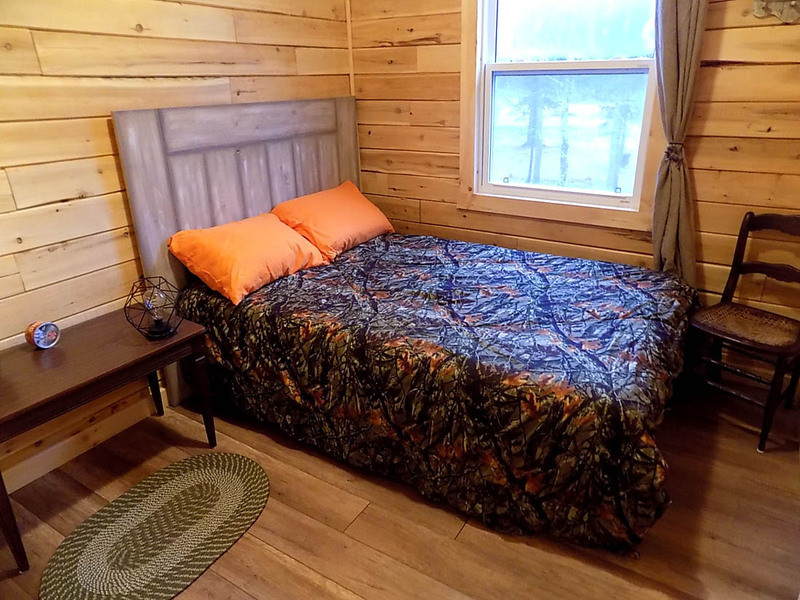 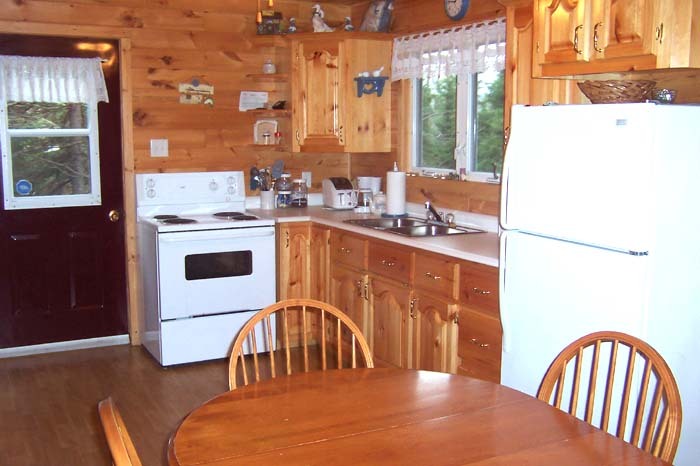 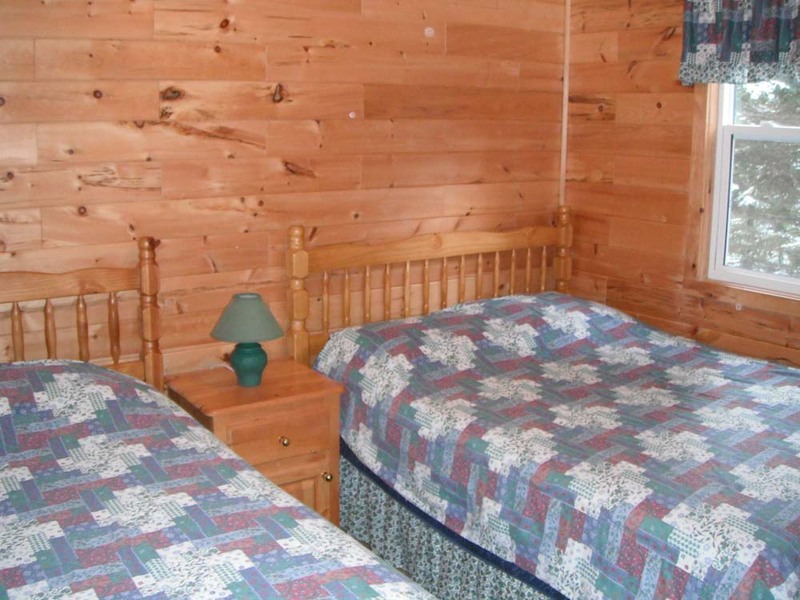 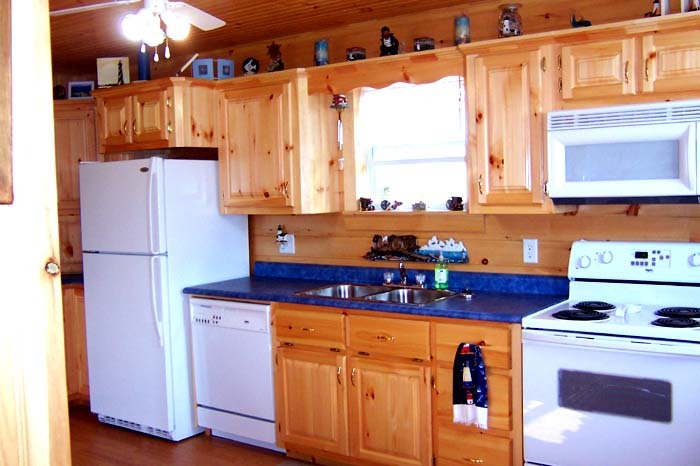 Each cottage is supplied with bedding, towels, cooking utensils and dishes, and a deck with barbeque overlooking the beautiful Miramichi River. 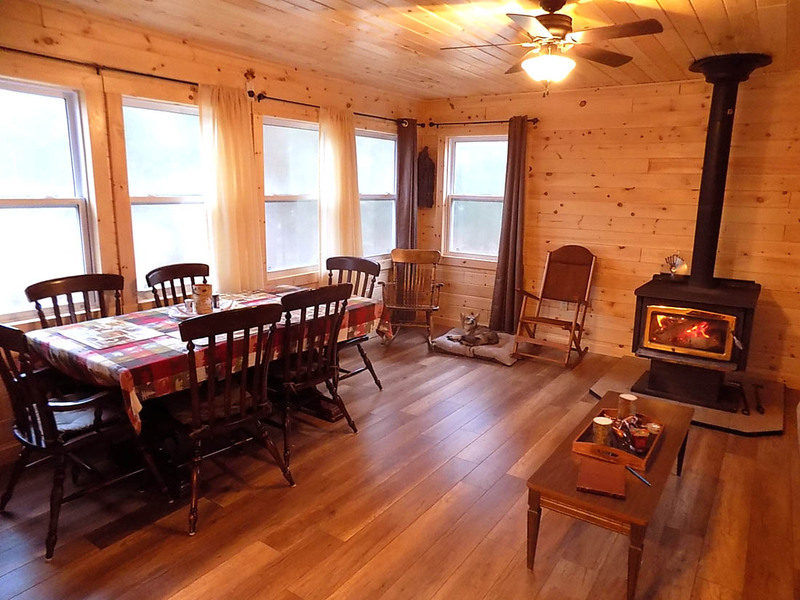 While staying at either of our cottages you can have your choice of our all-inclusive packages including meals at the main lodge or enjoy the privacy of a self-catered cottage and prepare your own meals just the way you like them. 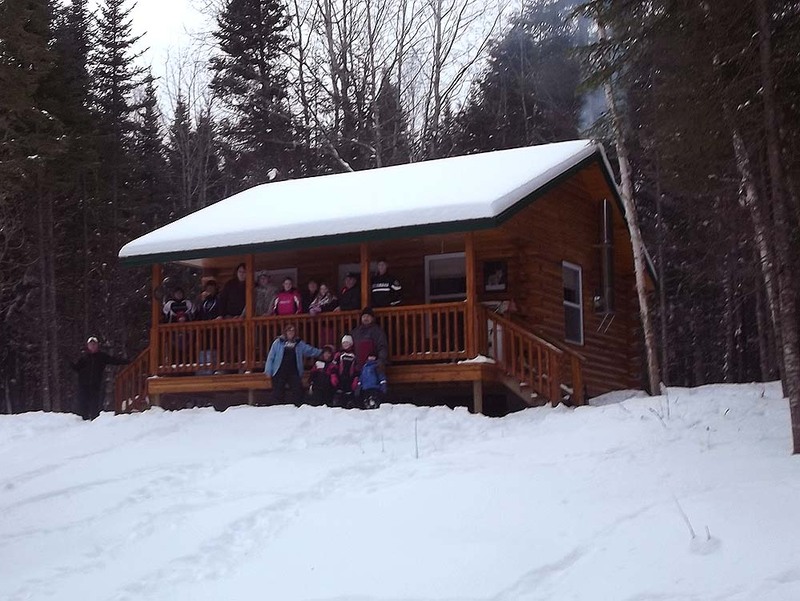 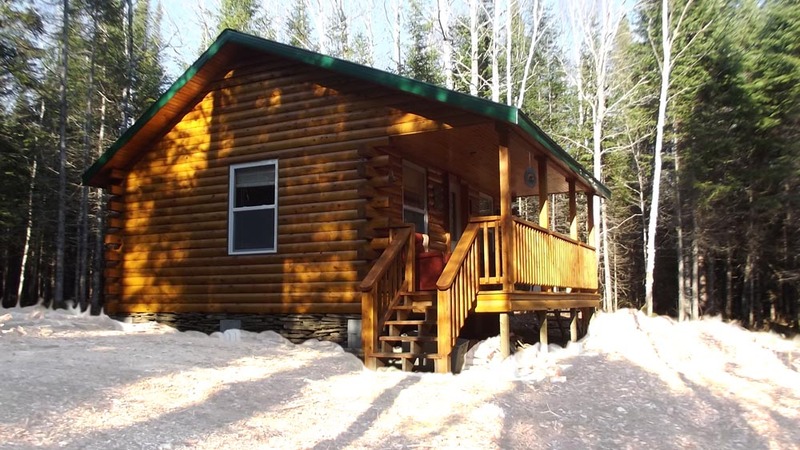 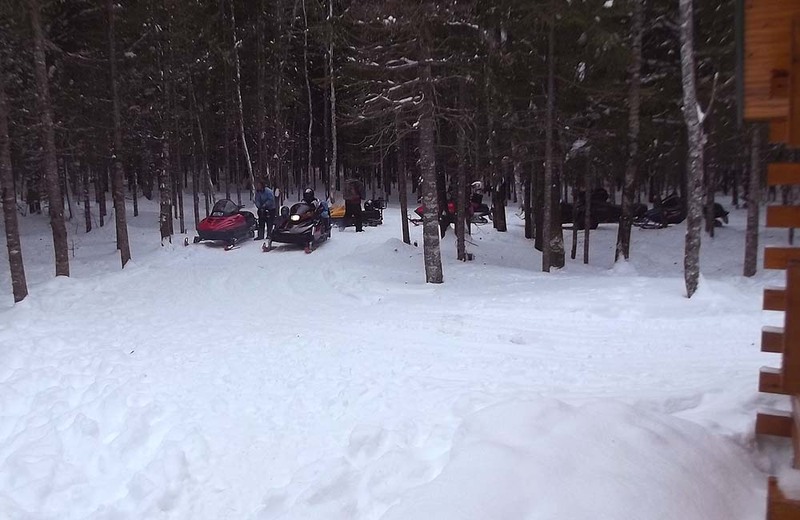 NOTE: This Cabin accessible ONLY by snowmobile, skiis or snowshoes! 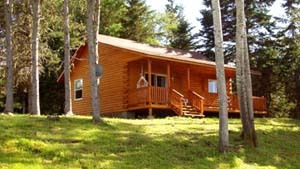 of the beautiful Cains river - one of the best little Trout and Atlantic Salmon rivers in the world! 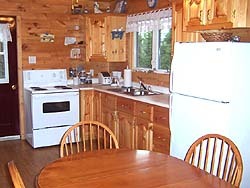 COUNTRY HAVEN IS YOUR ONE STOP DESTINATION FOR YOUR OUTDOOR VACATION WHILE ON THE MIRAMICHI. 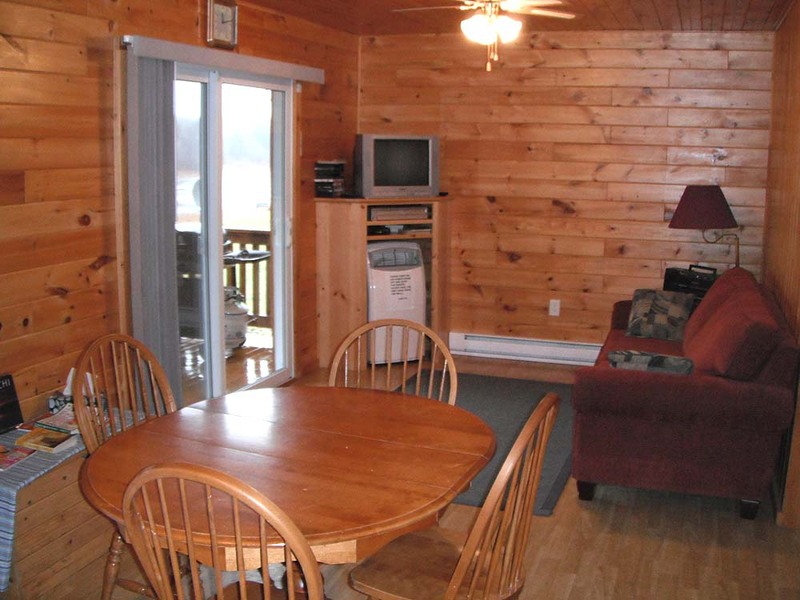 Note: While staying at Country Haven we also offer day adventures salt water deep sea fishing on the Bays of Fundy and Chaleur, and smallmouth bass fishing in Southern New Brunswick. 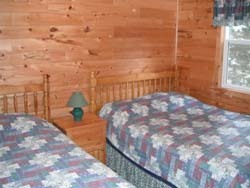 YOUR HOME TO YOUR "HOME AWAY FROM HOME"